Behind the Scenes - Ben Affleck and Cole Hauser. (Credit: Gramercy Pictures/Alphaville Films/Detour Filmproduction via Entertainment Weekly). 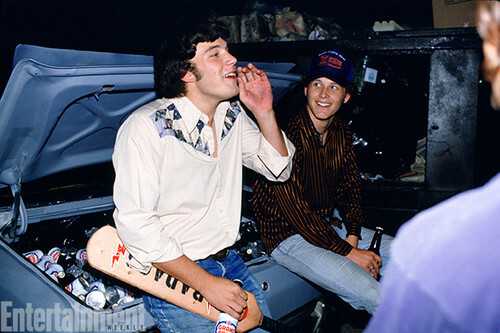 Wallpaper and background images in the Dazed and Confused club tagged: photo dazed and confused behind the scenes ben affleck cole hauser fred o'bannion benny o'donnell.